Product #5508 | SKU JAB63801 | 0.0 (no ratings yet) Thanks for your rating! 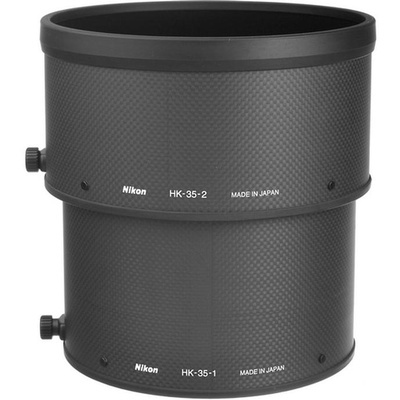 Improve visibility and reduce flare with the dedicated Nikon HK-35 Lens Hood for the AF-S NIKKOR 600mm f/4G ED VR. It is designed to block stray light from entering the lens, without appearing in your frame and causing vignetting. Additionally, since it protrudes beyond the front element, the hood protects the glass against light impact. It is included with the lens and offered here as a spare or replacement part. Box Dimensions (LxWxH) 8.35 x 8.15 x 6.5"